I’ve always been fascinated by the history of British Royalty, I mean princesses, ball gowns and far-fetched tales – Whats not to like? 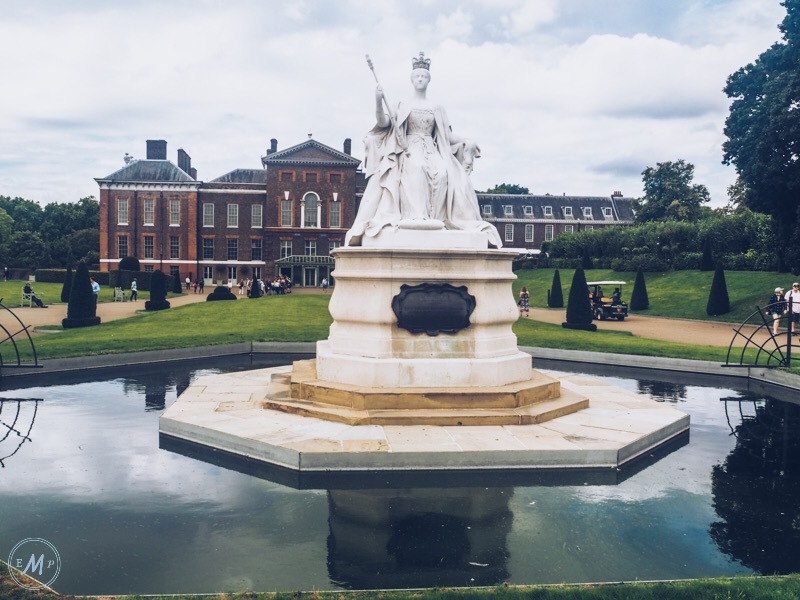 Thus, during a trip to Notting Hill (London) late this summer, I decided to make time to visit the nearby Kensington Palace, and I totally fell in love! For one, no place is more steeped in royal history…. Ok, Windsor Castle, Buckingham Palace, and Balmoral also lay a pretty good claim to the aforementioned statement. However, my point is, Kensington Palace has a strange sense of celebrity around it. For example, it’s where William and Kate have opted to bring up their children. More than this, it was also the childhood home of Queen Victoria and countless other historic royals. In this way, I feel that Kensington Palace should be on everyone’s to do list when visiting London! Need more convincing? Below I’ve compiled an ultimate guide to visiting Kensington Place. So keep reading for all the information, tips and advice you could possibly need for this very elegant and charming Palace. Unlike the more famous Buckingham Palace, Kensington is open all year round! However visiting hours vary according to whether its Summer (01 March – 31 October) whereby the grounds are open 10am-6pm, or Winter (01 November – 28 February) whereby it shuts at the earlier time of 4pm. Tickets to visit Kensington Palace can be bought via the official website for £15.50 (entry is free for children under 15). This said, during peak periods tickets normally sell out ahead of time. So, be prepared and book early! However, if like me, you leave everything to the last minute (shame on you) then you can also buy tickets from lastminute.com. From here they’re a little more expensive – around £17, but the website can be a lifesaver when dates are seemingly sold out on the palace’s website. Failing this, there is one final way to get your Kensington Palace tickets: on the day. It is possible to turn up at the palace and buy your tickets ‘on the door’. Having said this, I would try and avoid this third option as there can be a long wait. ‘Walk up’ entrance is totally dependant on the number of people already waiting in line with pre-bought tickets. Based in the center of London, the easiest way to get to Kenginston Palace is by tube. The closest station is Queensway, which is only a two minute walk away, through the very scenic grounds of Hyde Park. For more Kensington Palace visitor information, check out their website. 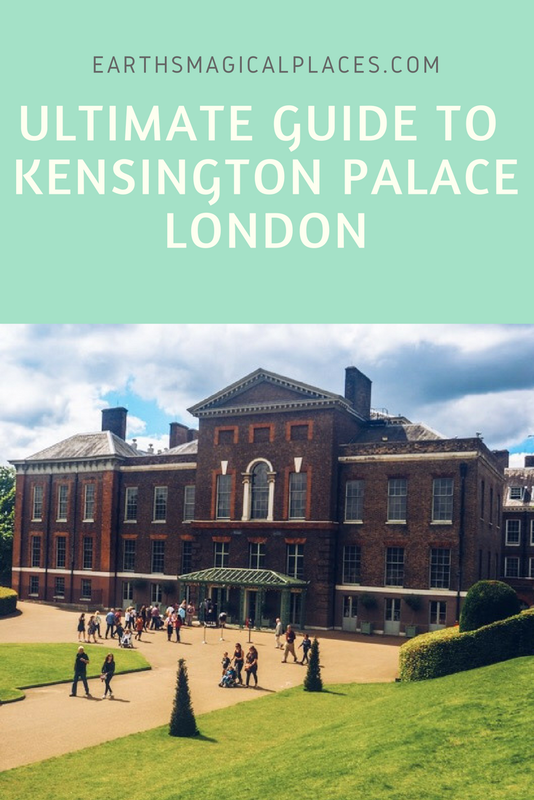 Now all the boring information is out of the way, we can move onto the interesting part of my Ultimate Guide To Visiting Kensington Palace: what you can expect to find. Next, glide up the King’s Staircase where a vivid reaction of George I’s court (by William Kent) throws you into 18th century court life. The artwork comes alive with the characters depicted. Meanwhile, the whole room is elegant, somewhat feminine, but altogether beautiful – the perfect introduction to Kensington Palace. 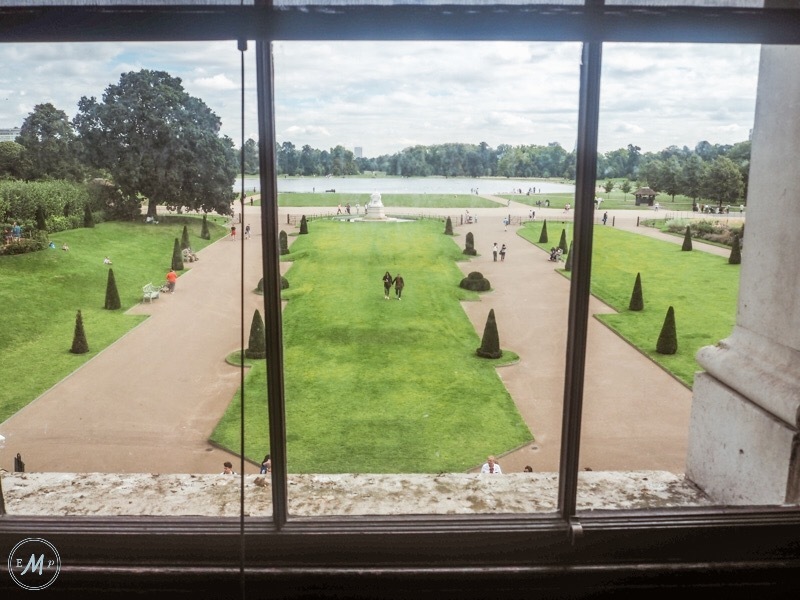 Moving through the apartment you’ll encounter many more interesting rooms such as the Presence Chamber and the Privy Chamber, which grants fabulous views over the front lawns. However, what blew me away the most was the Kings Gallery. Here, the rich red walls scream royalty and wealth. More than this though, the artwork that adorns the walls is simply stunning. I was pleased to recognise one famous piece, by Anthony van Dyck, of Charles I on horseback, which sits perfectly between the most beautiful golden edged doors. However, art has never been my strong point, so I was clueless about the other masterpieces in the room. Luckily, at Kensington Palace, each room comes equipped with written room guides. These detailed books contain everything you could possibly need to know! Thus, I was able to look up the painting’s and gain a much better idea of what was depicted. A slight walk through the palace’s hallways brings you to the second permanent exhibit at Kensington Palace, the Queen’s State Apartment. Substantially less grand than the king’s apartment, the staterooms here are somewhat more homely. This is not surprising since they were where Queen Mary II and later royal consorts lived. Despite being less lavish, for me, these rooms were super interesting! 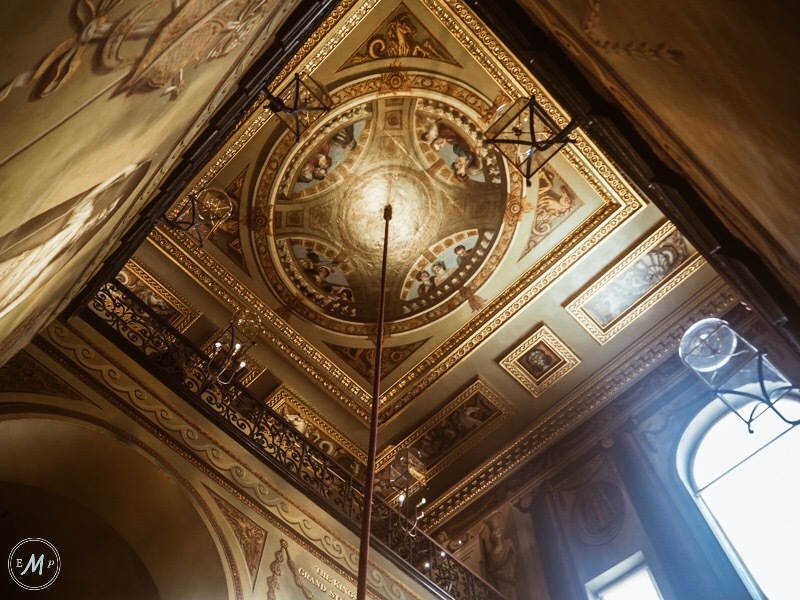 They help to create an image of how the palace would have looked when William III and Mary II brought Kensington and decided to turn this ordinary mansion into a home fit for royalty in 1689. What’s more, although relatively plain and dark, the rooms are still impressive! Especially the oak staircase that remains little changed since its construction in 1690. Another highlight for me was the Queen’s bedroom where the bed displayed is said to be the birthplace of James Edward Stuart, son of King James II. 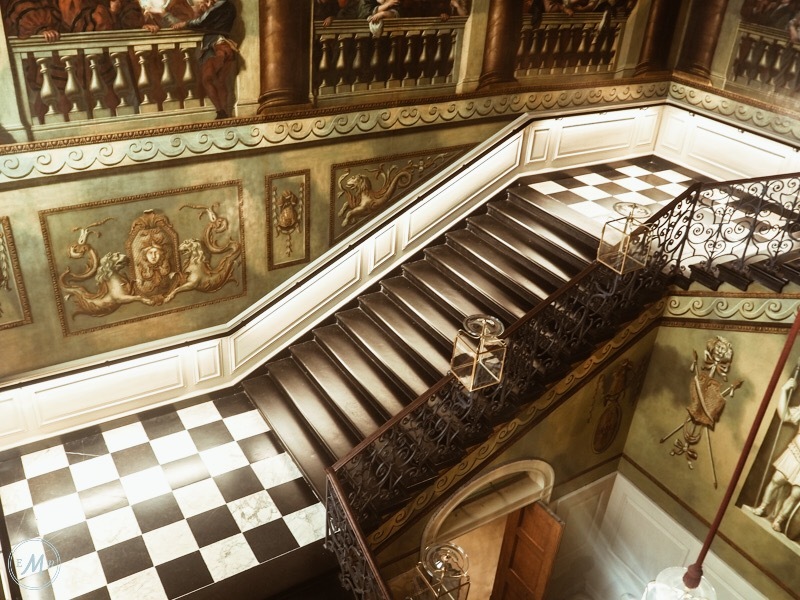 There are currently a few further exhibits at Kensington Palace that are open for a limited time. The first of which explores the life of the palace’s most famous resident: Queen Victoria. Named Queen Victoria revealed, this exhibit is open until the 12th of November 2017 and features many of the Queen’s personal objects such as the dolls she made as a little girl and her beautiful coronation gown. Meanwhile, the exhibit also explores her life, children, and beloved husband, Prince Albert. As a fan of the ITV show: Victoria, it was captivating to learn more about the real-life monarch, while walking the same halls she did as a child. TOP TIP – There is a lot of information to read and absorb in this exhibit so I would recommend touring it first while you’re still fresh to get the best out of your visit! An extension of ‘Queen Victoria Revealed’, this mini-exhibit tells the lives of three German princesses: Caroline, Augusta, and Charlotte. All of whom married into the British royal family and consequently had a huge impact on developments within 18th century Britain. One final exhibit was opened this summer as a touching tribute to Princess Diana. 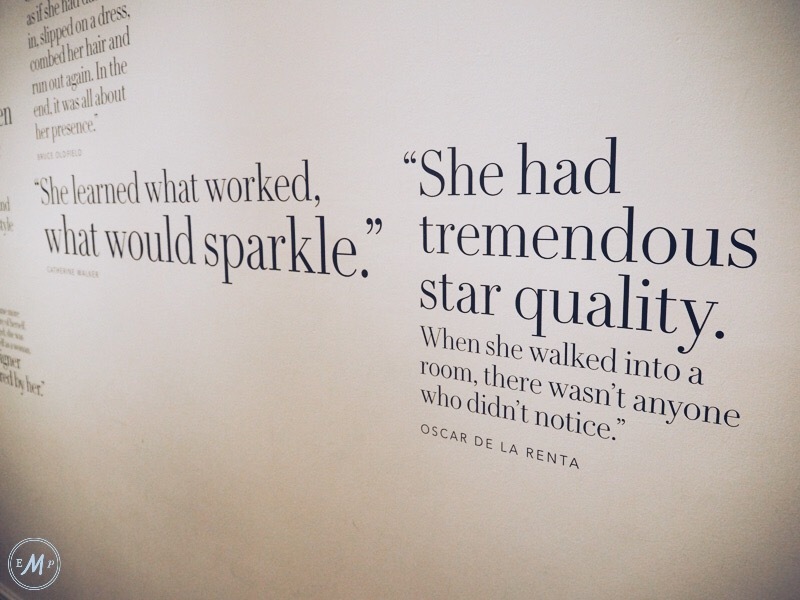 Marking 20 years since her untimely death, the exhibit follows her ‘fashion story’ from a shy aristocrat to the most photographed women in the world. In high contrast to the dark and historic rooms in the rest of the palace, the exhibit is bright and modern, almost as if to reflect Diana’s character! The collection on display is extraordinary and will delight fashion nuts and those simply interested in Diana a-like. Even more captivating than the dresses themselves are original fashion sketches and comments from Diana’s favourite designers. These add a personal touch to the exhibit, and I couldn’t help but be moved by the kind words spoken about the ill-fated princess. However, I do have to say that I felt a little rushed touring the exhibit. Due to the amount of people in the room, I was naturally pushed forward onto the next dress without having time to read the description. This took away from the experience somewhat, and to be honest made me feel a tad claustrophobic. None the less, as the exhibit is open till 2019, I assume the crowds will be less intense once the initial excitement has died down a little! TOP TIP: following on from my above point, as the palace’s most popular exhibit, you have to queue to enter ‘Diana’s Fashion Story’. If this queue appears long, head upstairs to see the Queen’s State Apartment first – when you return the queue should be a lot shorter thanks to the flow of visitors through the palace. 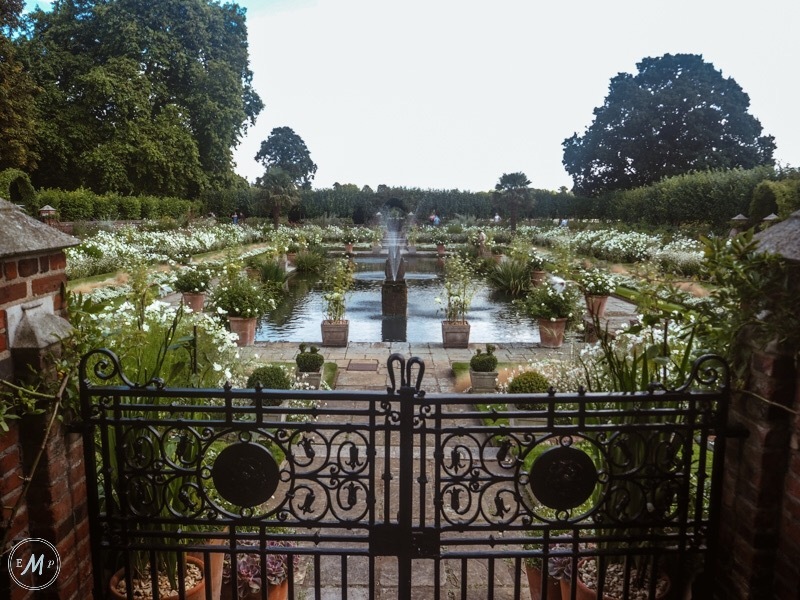 One thing you shouldn’t miss when visiting Kensington Palace, especially in spring and summer, is the beautiful Sunken Garden. Located just to the right of the palace, this small yet stunning garden is terraced, paved and decorated with ornamental flower beds and subtle fountains. Disappointingly, you can’t actually go into the garden. However, its bordered by a natural tunnel that provides shady and magical viewpoints. These viewpoints are the perfect spot for a picnic, as you can sit on the wall overlooking the garden, taking in the hundreds of different plants, while also getting a break from the chaotic pace of London thanks to the tranquil setting. During my visit to the palace, the Sunken Garden was remodelled into the ‘white garden’ as a further tribute to Princess Diana. Having the Garden in solely one colour was breath-taking. However, come next spring it’ll be returned to an equally as beautiful rainbow of colour. 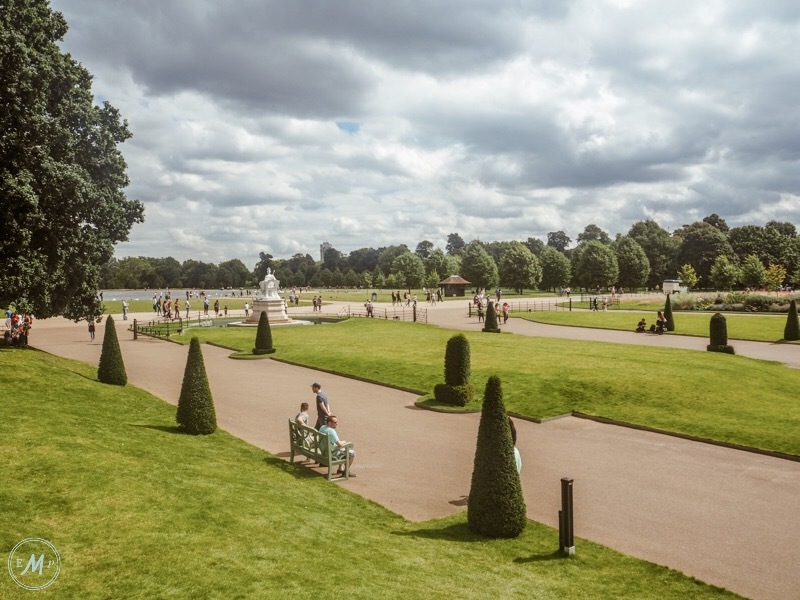 TOP TIP: you don’t need a ticket to visit the gardens at Kensington Palace! Thus, you can take in their beauty even if touring exhibits isn’t your thing. Adjacent to the palace’s gift shop, your first dining option at Kensington is a simple cafe. Open to everyone, not just visitor’s to the palace, this little cafe always appears busy. Thus, I opted not to eat here during my visit as it was packed and has more of a family vibe. This said, the food looked good and has largely positive ratings on TripAdvisor. In this way, the Palace Cafe is the perfect spot to refuel if you’re looking for a cuppa and/or slice of cake. If you’re looking for something more substantial than a snack, and a more upmarket vibe – the palace’s Orangery Restaurant hit’s the nail on the head! Possibly one of the most beautifully decorated restaurants in London, the Orangery’s massive windows bring an abundance of light into the dining room. Meanwhile, a modern clean finish provides the perfect balance between old and new. 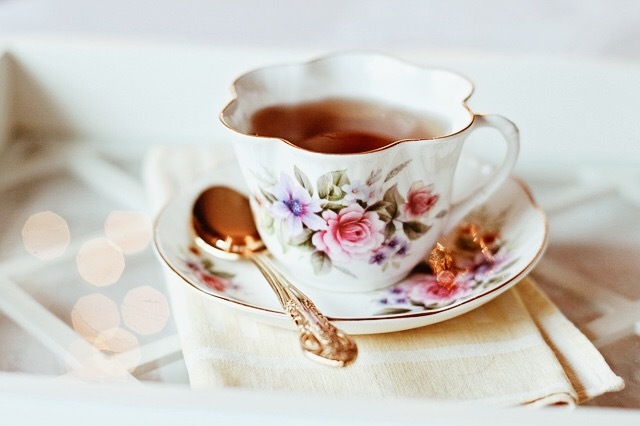 Famed for its afternoon tea, there’s nothing more ‘quintessentially British’ than tucking into Jam and Scones after touring one of the countries most famous palaces! More than this, the restaurant also has a pretty good lunch menu, which is surprisingly not too expensive, with main’s averaging around £15. This said you’ll have to pre-book if you plan on eating here. 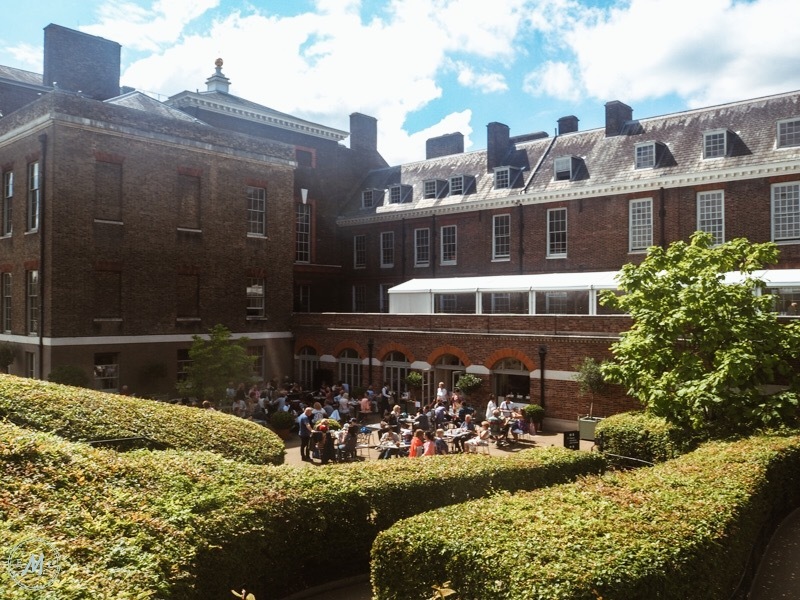 I tried to get a table for one after my visit to Kensington Palace and was gutted when they couldn’t even squeeze little old me in – thus Book your table for the Orangery now through Open Table. 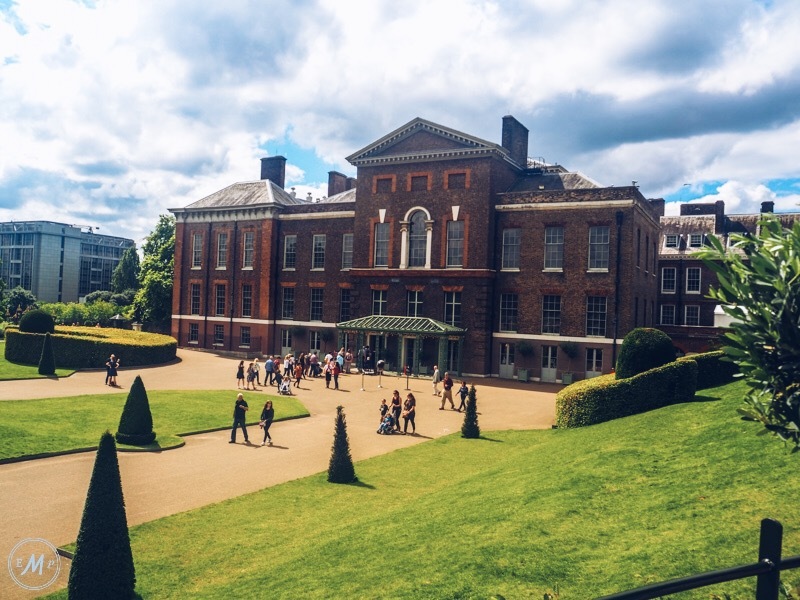 So there you have it, my Ultimate Guide To Visiting Kensington Palace. Thanks for reading, and I hope you have an amazing time at the palace and enjoy your visit as much as I did! I have always wanted to visit Kensington Palace! 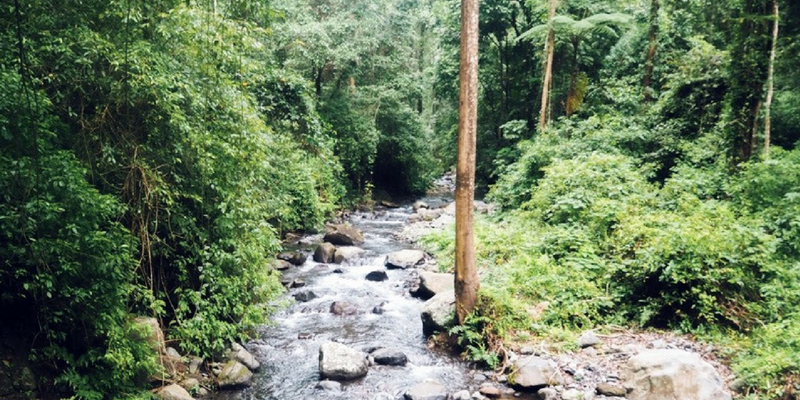 I have seen such gorgeous photos and YOURS are stunning and make me want to visit right now!! It’s so pretty that’s for sure! It’s interesting I visited the palace probably 15 years ago and they had a exhibit of Diana’s dresses then. The Queen Victoria exhibit also sounds really interesting. Beautifully written blog post. I love london but have never actually been here! I tend to visit in the winter when everything looks so dull but your photos make it look really stunning! I will definitely visit it now! Yeah I have been lucky to go in better weather but didn’t have much chance to get good photos!lol! Will put this on my to do list though! This is a helpful and detailed guide! I am bummed that I didnt get a chance to visit on my last trip to London. 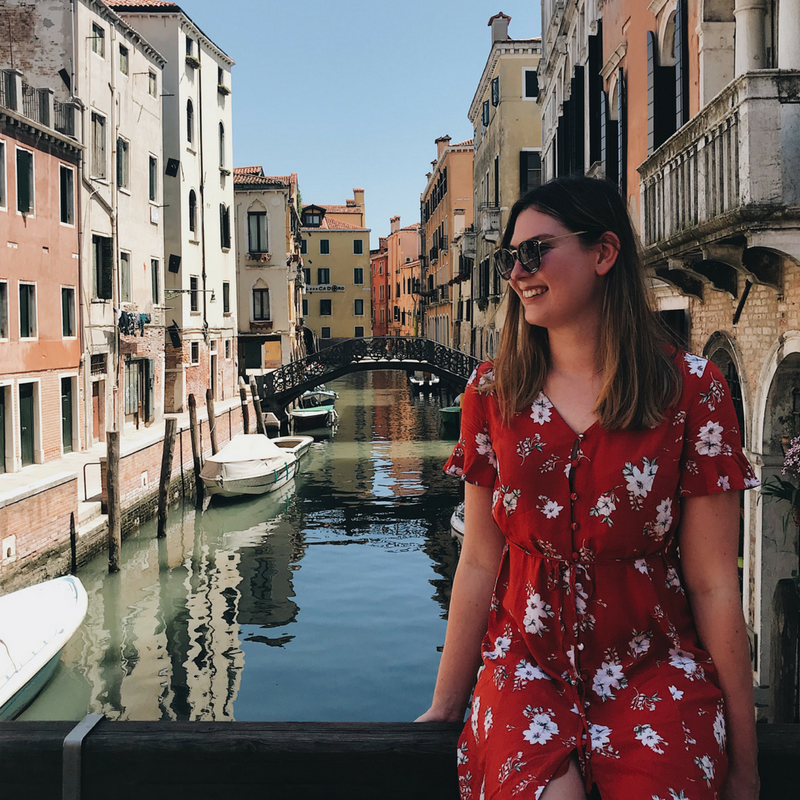 Your photos have definitely convinced me that I need to book a return trip! The Kings Staircase… A DREAM! I feel like I’ve seen that in so many movie scenes! I LOVED Kensington Palace when we visited in 2015! I hope I get to go back. Hyde Park was definitely a highlight. The Kings Staircase I loved imagining royalty walking around. Such a beautiful place. I’m currently living in London and always looking for new things to do and new places to visit, this is great! I’m adding it my list right now. This is a very thorough post with great pics. Kensington Palace definitely seems like a great outing, will think about adding it to my list next time I’m in the UK! Dang, I wish I would have known about this when I visited London! Unfortunately, I was only there for a few days, so perhaps if I visit again, I’ll remember this. I’m so sad I missed this when I went in March! I went to the more popular Buckingham palace. This looks like a great place to explore for a few hours. Your pictures are great! Such a beautiful day at Kensington Palace! I was in London 2 years ago and road my bike around the area but never went inside for a tour. Reading this post makes we wish I would have! I will have to do this on my next trip. The area is so lovely in itself!! It looks like a beautiful palace. I love exploring historic palaces when I visit Europe. I didn’t realize that you could tour Kensington, so this is great information! What a comprehensive guide! So much useful information, maybe one day I will make it out to visit!